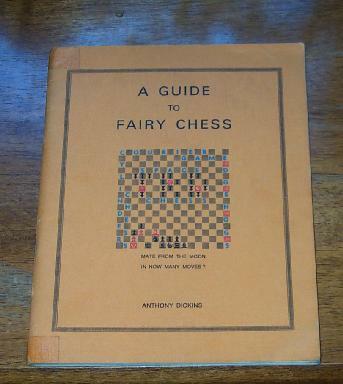 Dickins book on fairy chess, out of print for much too long time, is a classic book. It describes hundreds of fairy chess pieces and fairy chess rules, that are used in problems, often with exciting examples of problems and with historical comments. Page written by: Hans Bodlaender and Fergus Duniho. This out of print book is on amazon at the moment, 12 used copies from $9.00 up and a new copy selling at $344.00.